The week back after 4th of July was the unofficial School Magazine kick-off, a project which would span the entire 3 months, and be a shocking onerous undertaking. Back in July I started taking class photos. My pule and I also went around to get photos and logos from sponsors. 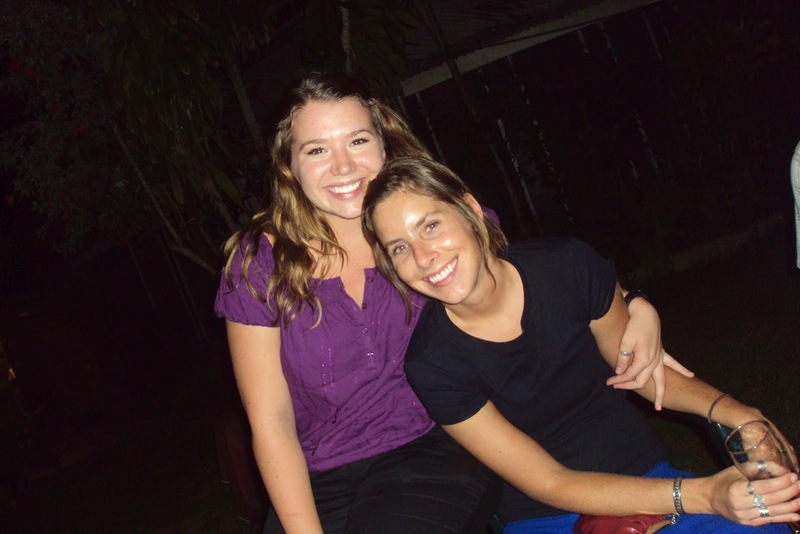 Around that time, Erica 80 registered Peace Corps Samoa in a 9-week soccer tournament. Though it was difficult to field an entire team at times, and though other teams had an ungentlemanly style of play at times, it proved to be my favorite part of the week while it lasted. Jen and Tommy came to visit near the end of July. Their stay was cut short because of an airplane mechanical failure that left them stuck at home for an extra day. We made the most of their stay, heading out to Manase for a couple days. A few days after their departure, I attended my first Peace Corps wedding. A volunteer married a native Samoan in judge’s chambers. It was lovely. In the midst of all this, the Volunteer Resource Room moved down the hall at the Peace Corps office. At the time, this was extremely controversial, but 2 months later volunteers have made peace with the move. In school sports, athletics (err… Track and Field for American readers) reached its climax with the national Champ of Champs meet in early August. Though my school performed well at the regional “zone” meet, their performance at nationals was admittedly lackluster. Champ of Champs was held on the Friday before the long Father’s Day weekend, which meant plenty of volunteers were around to celebrate. Phil and I had lunch with the Indian missionaries up at Apong’s house on Saturday, and a larger contingent of volunteers headed down to Tafatafa on Sunday. With the help of student aide Maryhellen, I took a great majority of the class photos and staff photos in mid-August. Also, Jordan and I studied for the GMAT. A visiting Tahitian Rugby Team came to stay at my school in late August, so we canceled the last week of classes for term 2. This did not necessarily mean a longer break since teachers had to come in and cook and serve food on a 3-day rotation. I was mainly tasked with cooking rice. The Peace Corps came in first in the 2nd annual Perimeter Relay Race. September was a month of blog lies. I got a tattoo on September 1, but wrote about PCV Paul getting his. Later in the month I posted an apocryphal story about Scout’s birthday party and posted a heavily photoshopped picture. In reality, I helped Kaelin shoot for the Peace Corps’s new Co-Teaching Video. The project has since run into some roadblocks. During school break, Group 81 had its COS conference at Le Uaina Resort in Faleapuna. It was the usual tomfoolery. After the break, the last term started with a fairly easy teaching day, and a mad dash to get the magazine finished. By the first day of school I had a working draft of the layout, though getting all of the students, teachers, and administrators involved to submit articles was a little like herding cats. There was also an unexpected content approval process (which gave me an excuse to make an obscure Elvis Costello reference). In addition to the magazine, life has been crowded lately by the year 13 camp and their subsequent tests, adjusting to Samoa’s first foray into Daylight Savings, and preparing for the (now arrivéd) Group 83. I think I’ll be flying into Los Angeles December 7, but that won’t be for sure until I’ve purchased the plane ticket. Yes and no. There’s been a lot of people, places, and things from back home I’ve missed. But there are also a lot of Samoan people, places, and things I’ll miss once I leave. Moving out and moving in and drastically changing one’s lifestyle are never very much fun. And I’m sure the joys of reverse culture shock will be a riot. But yes, I’m excited about coming home. The plan is still for Scout to come home with me. True, I haven’t really done much about this, but it’s on my radar. And you’re going to go to law school? Maybe. If I am accepted. I think I’m going to start submitting applications Monday. Two in California and three on the East Coast. Tomorrow starts a new round of cultural exploration. Tomorrow’s topic will be Feau. I hope you’re well. Pictures below. 83s Rachael and Olivia. Hey Amanda, doesn't Olivia look like Lara? 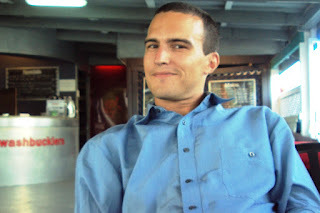 matt, every time i feel nostalgic and miss home (samoa), your blog always brings some form of comfort. it's saddens me that you're leaving! my family and i were in samoa for holiday over the summer, and we randomly saw you walking along the road.. how funny. anyway, we wish you a safe journey back to the US. soifua! Hey, Matthew, she kinda does! I'm so grateful that I will not have to look for a bread basket on my own this year at Christmas, it's been very taxing pulling your weight around here.